Image credit: Filipinas Heritage Library. Eisenhower with PACC pilot trainees. Or more accurately, by its predecessor, the Philippine Army Air Corps or the PAAC. Early in 1935, Brig. General Basilio Valdez, the newly appointed Commanding General of the Philippine Constabulary, announced his intention to create a group that would be able to provide air reconnaissance support to the constabulary’s peace and order missions. 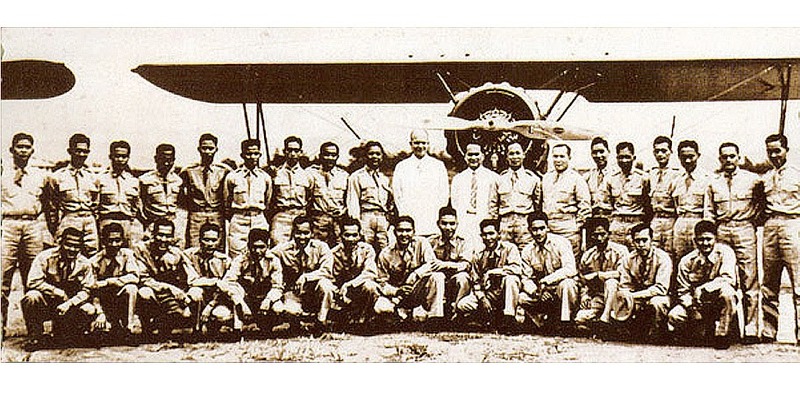 This group was given the name Philippine Constabulary Air Corps or PCAC. Initially, most of the PAAC’s energies were expended acquiring aircraft along with the training of both Filipino and American pilots. In June 1936, among the pilot trainees was a young officer from Bulacan by the name of Eustacio Orobia. Orobia had been accepted as a cadet back in 1933 by what was then called the Philippine Constabulary Academy. Two years later, as part of the stipulations of the National Defence Act, the school was renamed the Philippine Military Academy. Orobia, thus, enjoyed the privilege of being among the PMA’s first class of graduates. Orobia would become Commanding General of the Philippine Air Force in 1951. 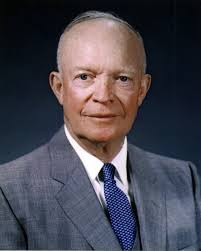 At the time, Eisenhower was assistant to Gen. Douglas MacArthur, the latter being the military advisor to the Philippine Commonwealth and helping to organize and develop the country’s national defences. Eisenhower would steadily rise up the ranks; and as Supreme Allied Commander of the Allied Expeditionary Force oversaw the defeat of the Axis Powers in Europe in World War II. After the conclusion of the war in Europe, he would become Military Governor of the United States Occupied Zone and later return home to become Chief of Staff of the Army. He was persuaded to change his mind in time for the 1952 Presidential elections and ran under the banner of the Republican Party. He would subsequently be elected as the United States’ 34th President and serve two terms up to 1961. As for the PAAC, it was subsequently inducted into the United States Forces in the Far East (USAFFE) before the outbreak of World War II in the Pacific. When war did break out, its pilots fought valiantly but the corps’ outdated planes were no match against the Japanese’s Zeroes. In 1947, President Manuel Roxas of the newly-independent Philippine Republic issued Executive Order 94 which created the Philippine Air Force and the Philippine Navy as distinct and equal branches of what would already be known as the Armed Forces of the Philippines.